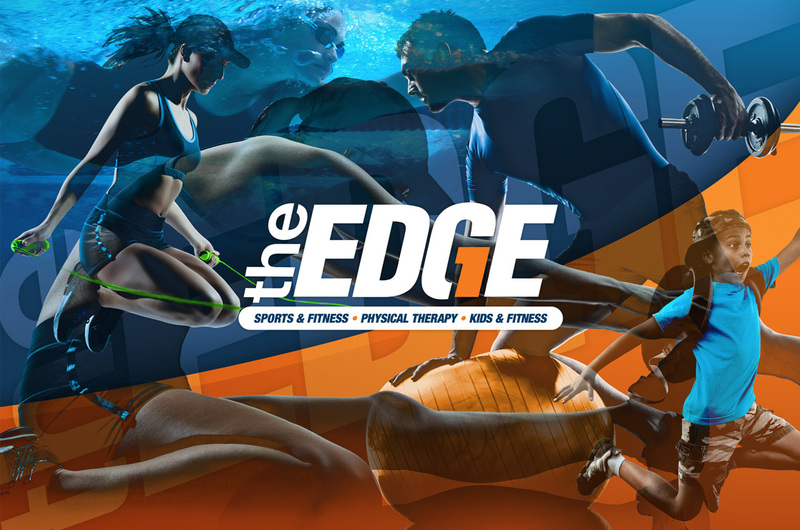 The Edge Sports & Fitness is a Vermont institution, and, lucky for us, a long time client of ours. 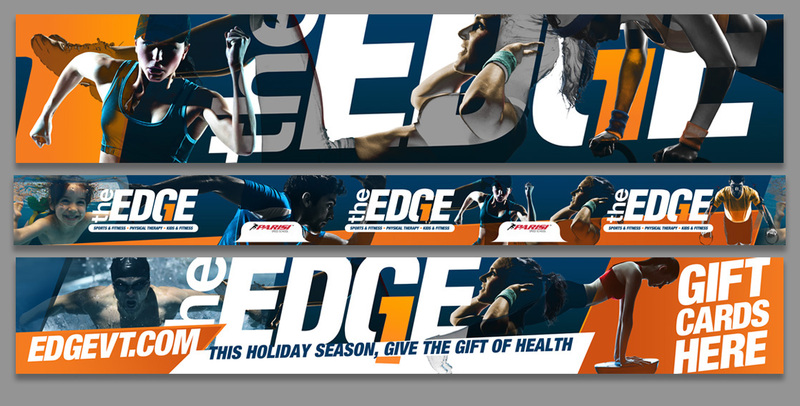 We’ve worked with the Edge marketing team to develop several multi faceted campaigns. 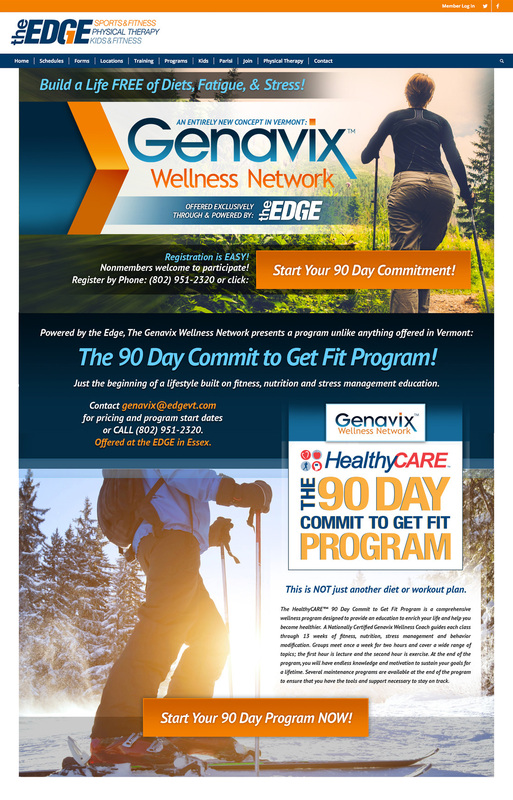 Most of which included time sensitive materials distributed across multiple media outlets all with one main goal: New Members! 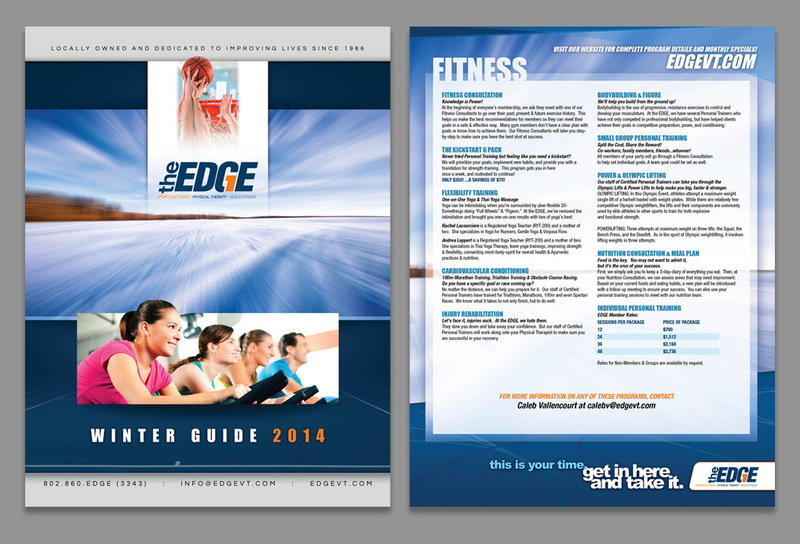 This client is a real runner and gunner. They expect results, not excuses. And they expect their marketing to do the same. 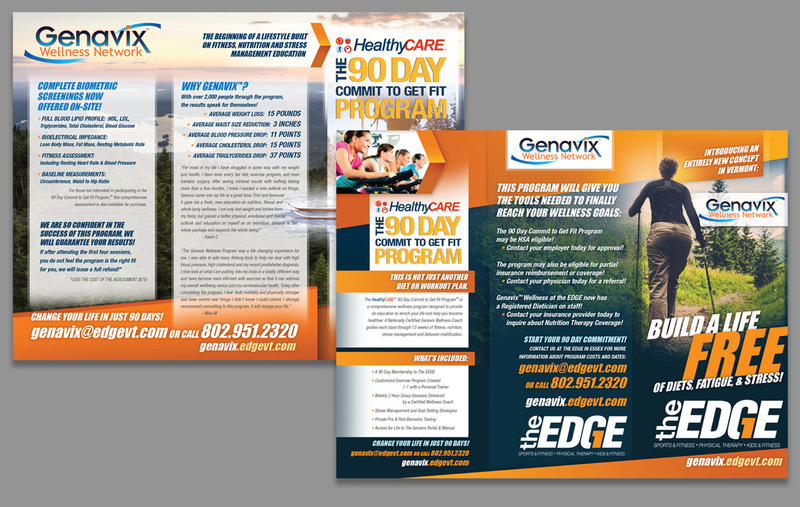 For all of these projects, we worked with their team to organize and structure the content as it came in, trying to make the project as seamless as possible. We fact checked the information, proofed all content, and also made recommendations on how to present the information in the most user friendly way. 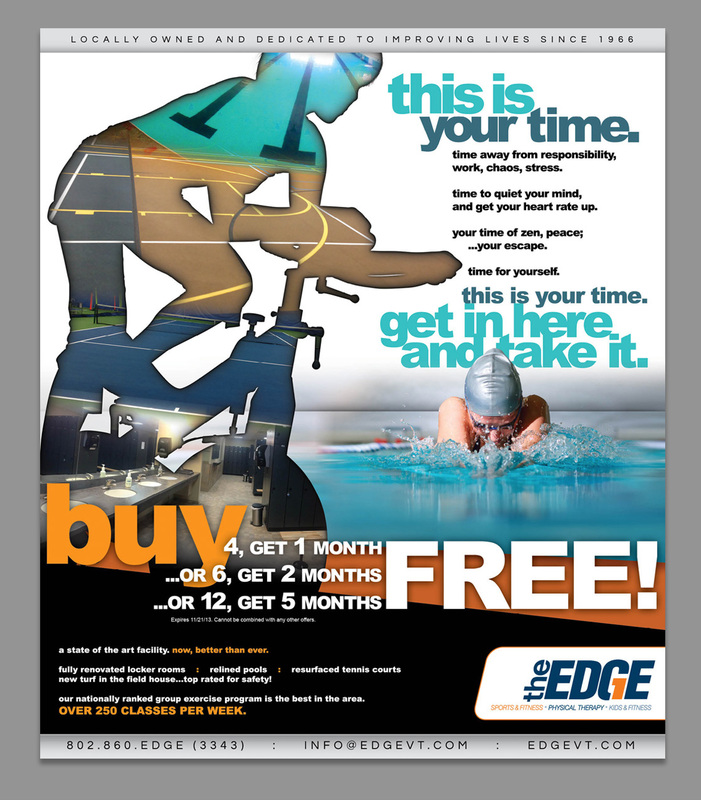 The end products all speak to the power of a unified brand. 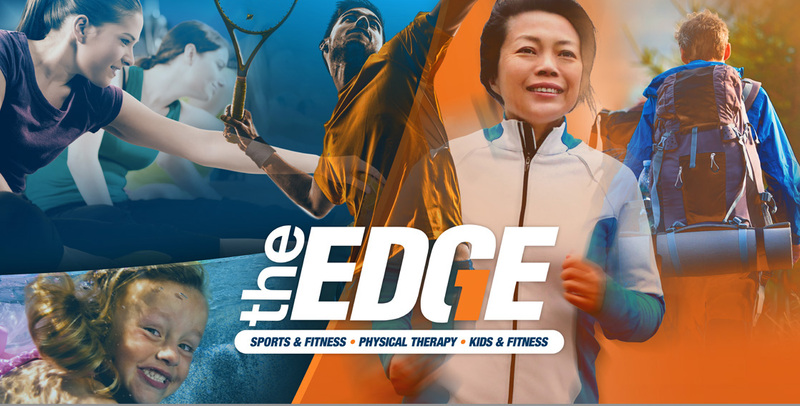 The Edge Sports & Fitness shows no signs of slowing its member growth and robust program schedule. At New England Standard, we just hope we keep up.